Surely there are some Sprint branded HTC Hero owners out there still struggling to fully utilize their handset due to some issues surrounding the GPS and dialer going haywire at times, but it looks like it's being remedied with a software update that's rolling out right now. The new update, which brings it to software version 2.31.651.7, is now being rolled out by Sprint – so it should be ready and waiting for your attention . If you haven't received the notification about the new update, you can manually check in the settings menu to see if you can grab it. So don't live another day having to deal with these trying issues and make sure to get this installed; so you can once again relive the happier times with your HTC Hero. I love This phones design, but even though it's like 2 years old, I wish it has at least a 800mhz processor. Actually the phone hasn't even been out for a year yet. I actually didn't notice any problems with the dial pad and/or GPS, but I did just get my phone this past Tuesday. Actually think that this phone is better than the Samsung Moment, which I just came from, aside from the fact that it don't have a physical keyboard. If it did have a faster processor than it would be awesome! 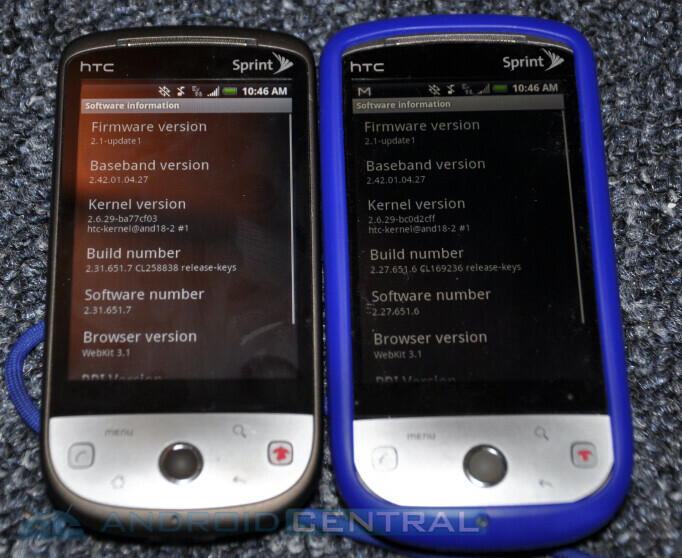 The Sprint HTC Hero has not been out for a year yet but the HTC Hero has been available in other markets for almost two years now.